When scheduling an elective surgery like knee, hip or shoulder replacement, advance planning is critical to a quick and safe recovery. Elective (from the Latin word ‘eligere’ meaning to choose) means it is a procedure scheduled ahead of time rather than an emergency operation. Learning as much as you can about the surgery and rehabilitation process will help ensure you have the right aftercare. 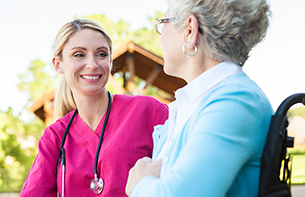 Our skilled nursing and rehabilitation team shares important tips to help you prepare. Is it necessary? Talk to your physician about the benefits and risks of the procedure and determine whether you have any other options. If you are not satisfied with the answers, feel free to ask for a second opinion to confirm you need the surgery. Sometimes, this can result in different insights into the procedure or an alternative approach which can help you make an informed decision. Preparing for the surgery: Inform your doctor or surgeon about all the prescription and over-the-counter medication you are taking. Drug interactions can affect the outcome and your safety. Remember to mention any drug allergy, sensitivity to latex or reaction to anesthesia you may have. Also, try to keep yourself in good health overall before your surgery, so that the recovery will be easier. Eat a healthy diet, get at least 30 minutes of daily exercise, and proper sleep in the weeks leading up to your procedure. Choosing a date: Try to select a date when a family member or caregiver can take time off and be available. You will need someone to drive you home or to the nursing facility where you will recover. Check medical insurance coverage: You should know if your Medicare coverage and/or supplemental insurance (like retiree coverage from a former employer) will cover the entire expense. Find out if you will have to pay some portion or all of it out of pocket. 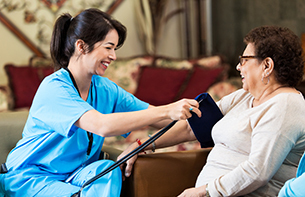 Consider a skilled nursing and rehabilitation center: After checking out from hospital, you may need further rehabilitation until you are strong enough to manage on your own. Physical therapy is an important component of recovery after many surgeries as it helps improve functioning and mobility. Many patients are unaware of the adjustments needed at home to make recuperation safer. These may include removing loose rugs, electrical cords, and other small items from areas where you will walk, as well as making the bathroom more accessible. You are also likely to need help with personal care, shopping, cooking, cleaning, and other household chores. In addition to having professional care and rehabilitation facilities, the structure is designed to support people with mobility issues. Additional amenities are convenient and make recovery a stress-free experience. At The Holiday retirement communities, we offer the latest medical facilities to support a quick recovery. Our dedicated professionals, high-quality services, and nutritious cuisine aim to improve the overall health of the patient, not just treat the illness or the injury. A wide range of exciting programs and activities keep our residents active and engaged. You or your elderly loved ones can enjoy the company of friends and family as you recuperate. Our patients feel safe, well-cared for, and totally at home. Give us a call at 860-233-8208 to learn more about the services and amenities we provide at our retirement communities in Rhode Island and West Hartford, Connecticut. Fill out this online form to book a tour.